When you have made the decision that you want to leave the 9-5 grind and start your own business, it can take all your energy not to immediately stand up and yell ‘This place blows, I quit’ at the top of your lungs. You feel energised, excited and passionate about the new path you have chosen. However sometime later, the reality and the overwhelm kicks in. From my experience of working with startups they share very similar worries, some founded and some imagined. The first most obvious stumbling block is ‘I don’t know what business to start’. You could have loads of ideas but no filter or no ideas at all. So how do you come up with a business idea that is in line with your interests, passions and skills as well as being something there is demand for? How do you discover or create a business idea? What do people desperately want to buy? What services are people asking for? What could you improve that is already in the market? What do you wish you could buy? What would you like to be easier in your life? What would your family and friends like help with? What problems are they facing that you could make easier? What product or service do you admire? Can you improve on a product or service that is already being sold? The second way to generate business ideas is to consider your skills, interests and passions. Many people think that as long as there is demand for a good or service then it is a good idea. This is partly true, however you need to find the right idea for you as it is about to become your life!! What do people come to you for help with? If you could run any business which already exists which one would it be and why? What do you get fired up talking about? What is your Pinterest boards full of? Fashion? Interiors? Healthy living? Business advice? When you get lost in thought and are daydreaming, what are you thinking about? 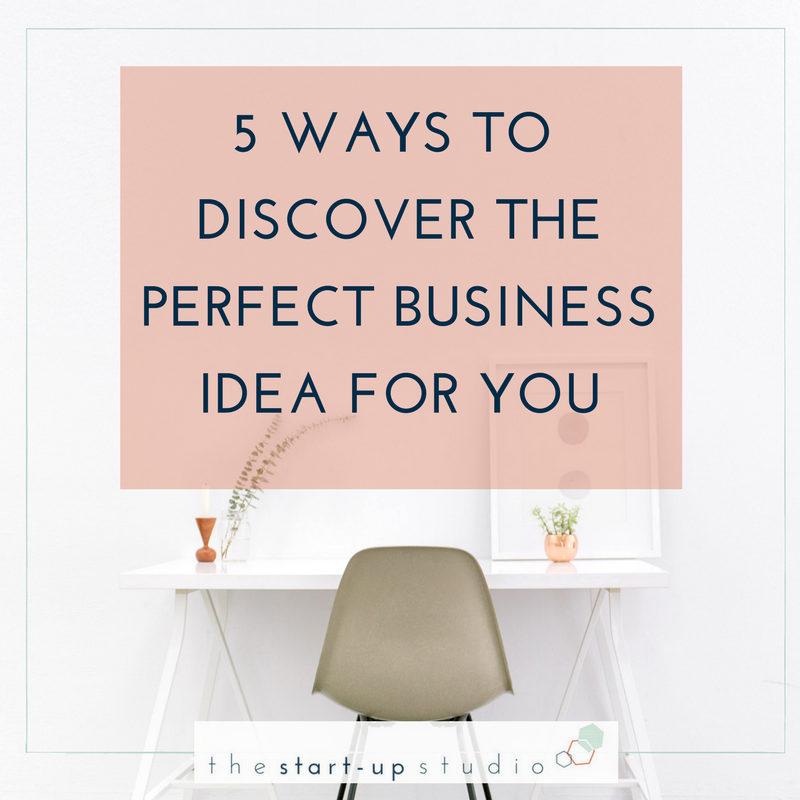 The process of coming up with a business idea can be quite overwhelming which is completely normal and you should come up with ideas based on what you want not what you think is possible - you may have no idea how you are going to make an idea work, it does not mean it is a bad idea or the wrong idea for you. In reality most people starting a business know the end goal but the middle bit of how to get there is pretty fuzzy. I go into much more detail on how to come up with a business idea perfectly tailored to you in my Escape Plan. I also cover the other main barriers people face when starting a business such as money worries, not understanding the market and worries about whether you will succeed. Grab your copy now. What business ideas have you come up with? I would love to know, just comment below now or get in touch now by emailing me helen@thestartupstudio.co.uk. You can also book a free 30 minute call to chat through you ideas and work out which one is the right one for you.